If you’ve made it through Wednesday’s play-in games, Thursday’s slate of four, and Friday’s quarterfinals, you may, like the players, be starting to feel fatigued. You can’t slow down now though, the semifinals are upon us, and the winners of Friday’s evening session (Davidson and Saint Louis) are ready to square off for a chance to play for the Championship on Sunday. With VCU no longer in the mix (but a lock for the NCAA tournament), one of the remaining four teams will get to be a bid-stealer, and get a chance to dance. With #1 seed VCU being bounced by Rhode Island, the Tournament is in search of a new favorite. Look no further than Davidson. While the Cats had difficulty putting away a pesky St. Joseph’s team, they should still be considered the team to beat moving forward. They have the best coach and player in the league, and their shooters haven’t even warmed up yet. If JAG and Frampton get hot on Saturday and Sunday, there’s a good chance that Davidson will be the team to hoist the trophy. The season wasn’t supposed to turn out like this. Well, at least not according to the A-10’s coaches. St. Joseph’s was projected second in the A-10 in the coaches preseason poll. However, they barely managed to escape Wednesday’s play-in games, and faltered late against Davidson in what could have been a major upset victory for the Hawks. 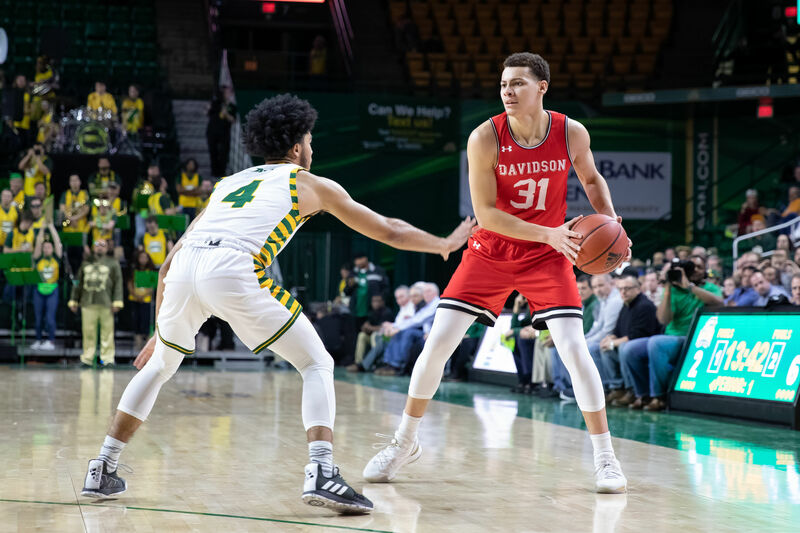 They do have returning talent in Charlie Brown, Lamar Kimble, and Jared Bynum, but will need to play much more consistently to compete in what is poised to be a much improved A-10 in 2019-2020. Tramaine Isabell frontrunner for MVP? It’s only been two games, but Tramaine Isabell is making a strong case for A-10 Tournament MVP. He has 17 points and five assists in SLU’s win over Richmond, and 24 points and six assists in their win over Dayton tonight. Recently, the SLU offense goes as Isabell goes, and for now, that bodes well for the Billikens. If Saint Louis beats Davidson tomorrow, and Isabell keeps up his current scoring pace, it’s likely he’ll be named Tournament MVP come Sunday.